The 9 holes Pitch & Putt golf course with driving range at the Hotel Capo d’Orso is situated behind the rooms and surrounded by beautiful Mediterranean maquis with a breathtaking view of the island of Caprera and the Costa Smeralda. Ideal for beginners or newcomers to this sport but even expert players will find that the PAR 3 with its simple “roughs” and small “greens” is a stimulating challenge for perfecting their short game. Our instructors will guarantee you have a great day and an enjoyable experience. Free golf lessons for guests aged up to 13 years from 02 June. 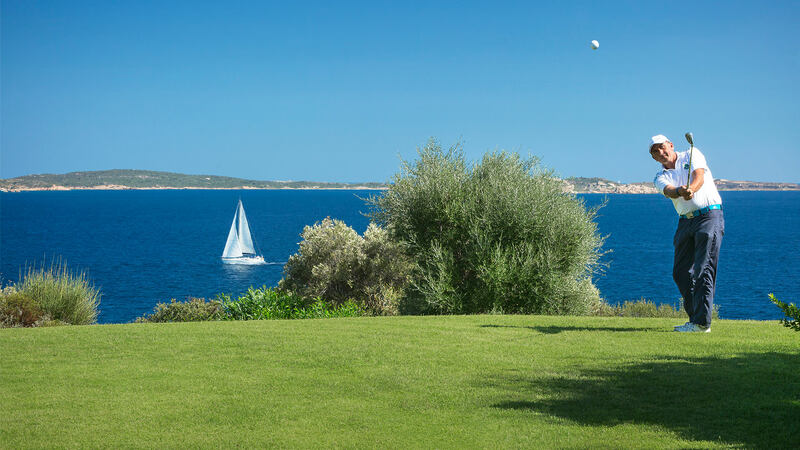 For guests at the Hotel Capo d’Orso, there is the chance to enjoy two prestigious nearby 18 hole courses and take advantage of the 10% green fee discount at the prestigious 18 hole Golf course at the Pevero Golf Club at Porto Cervo. The course is just 20 minutes by car from the hotel. Prices are valid exclusively for guests staying at Delphina hotels and resorts. Booking and payment to be made at the Hotel Capo d’Orso. Course opening is at the Management’s discretion.